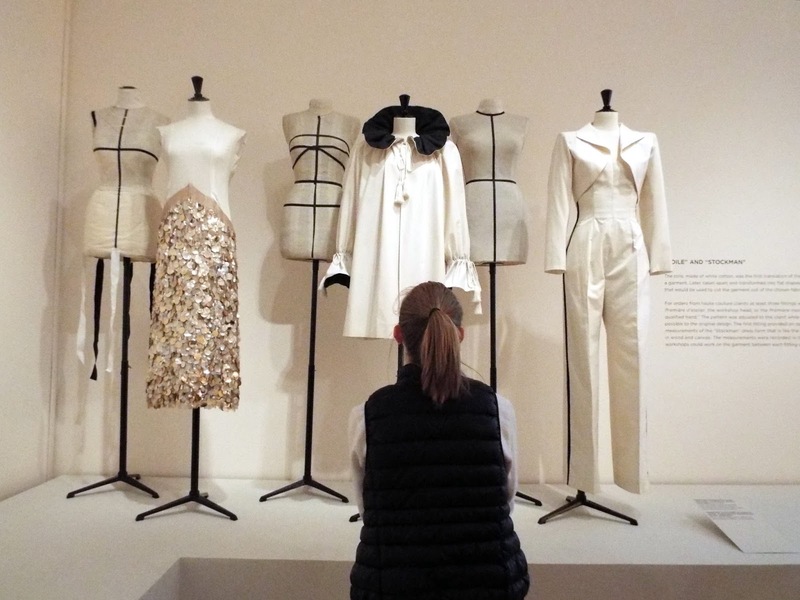 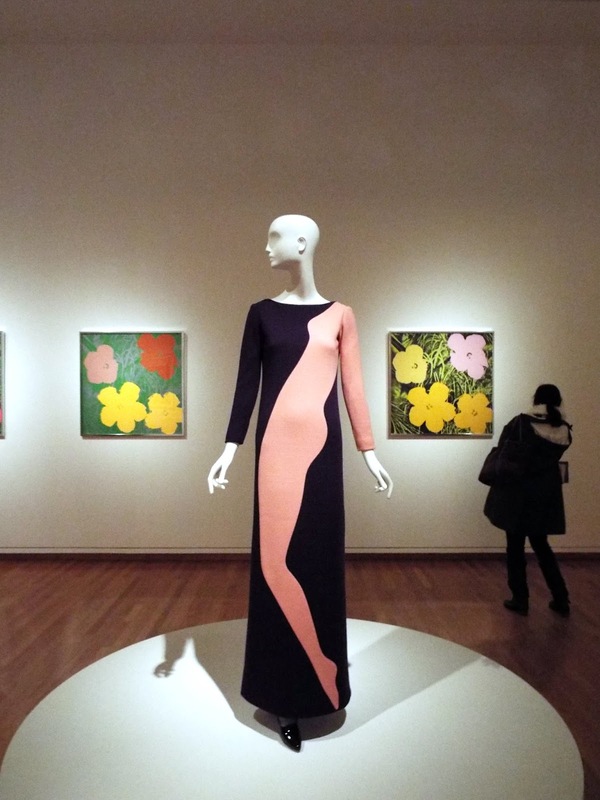 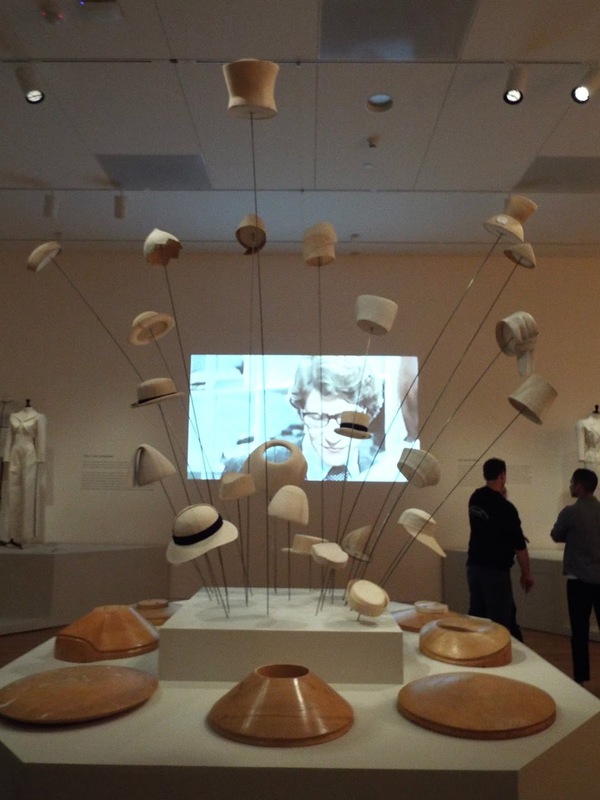 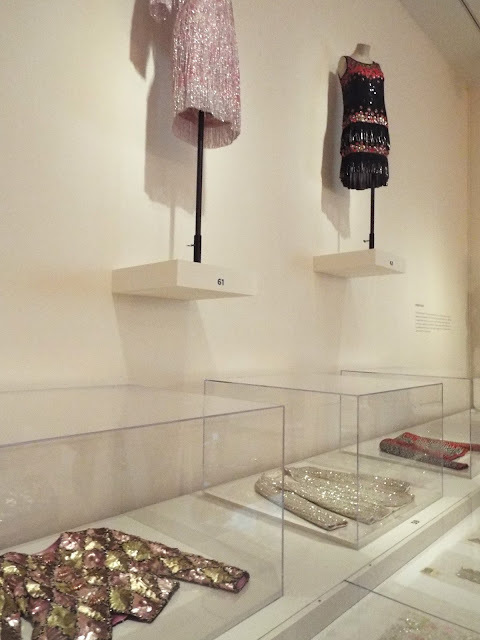 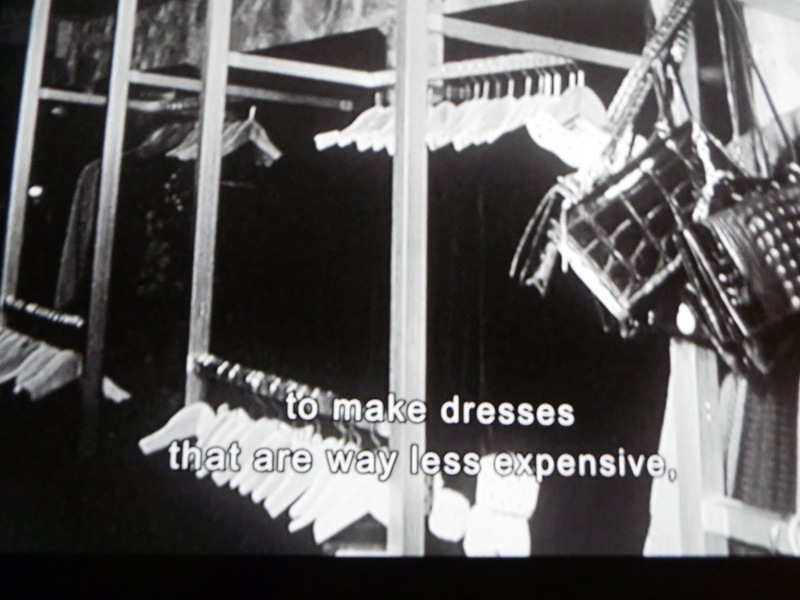 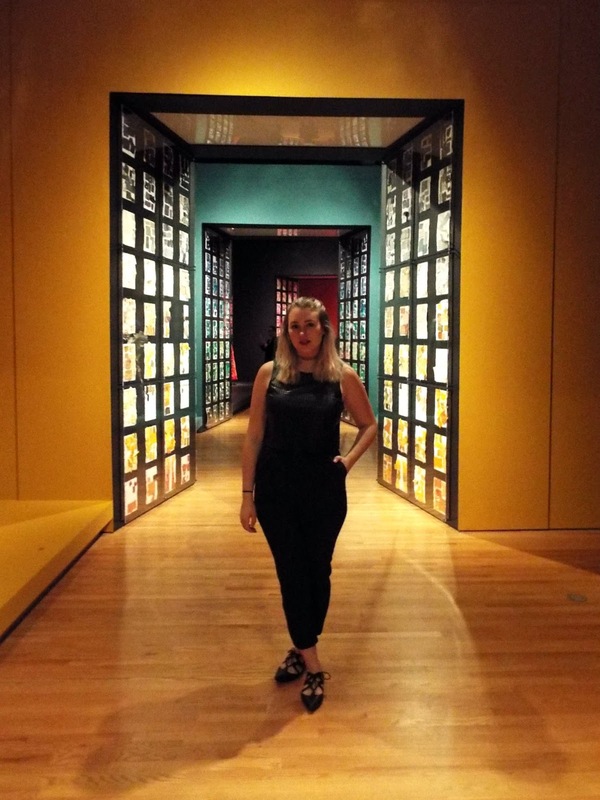 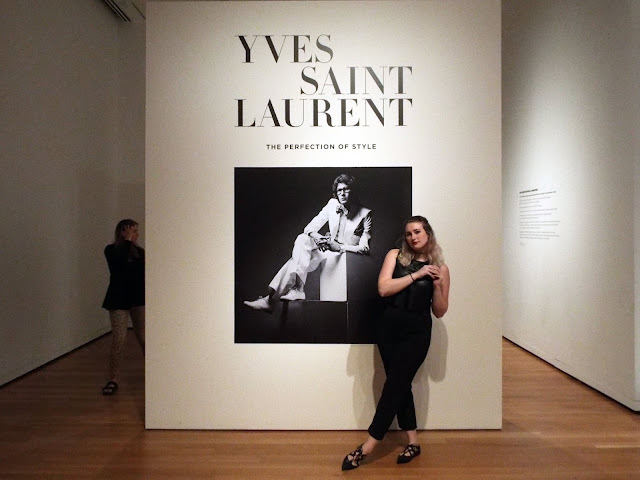 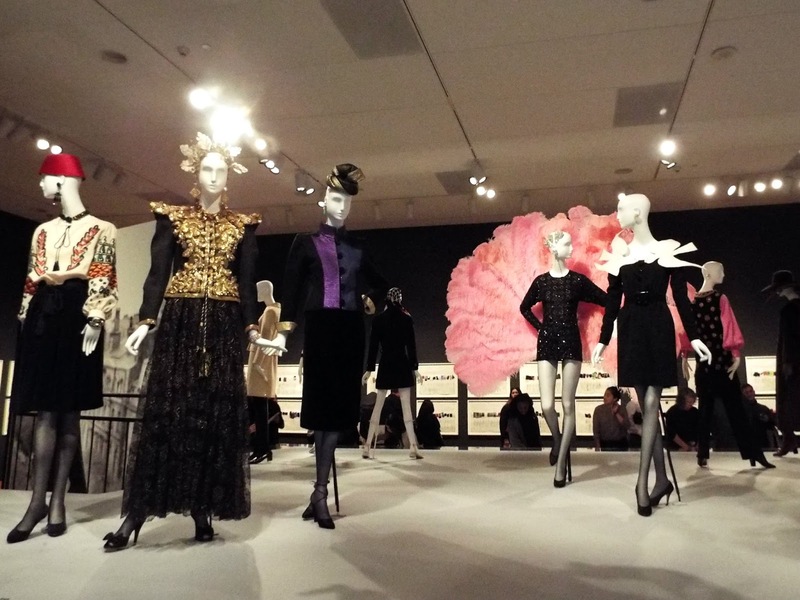 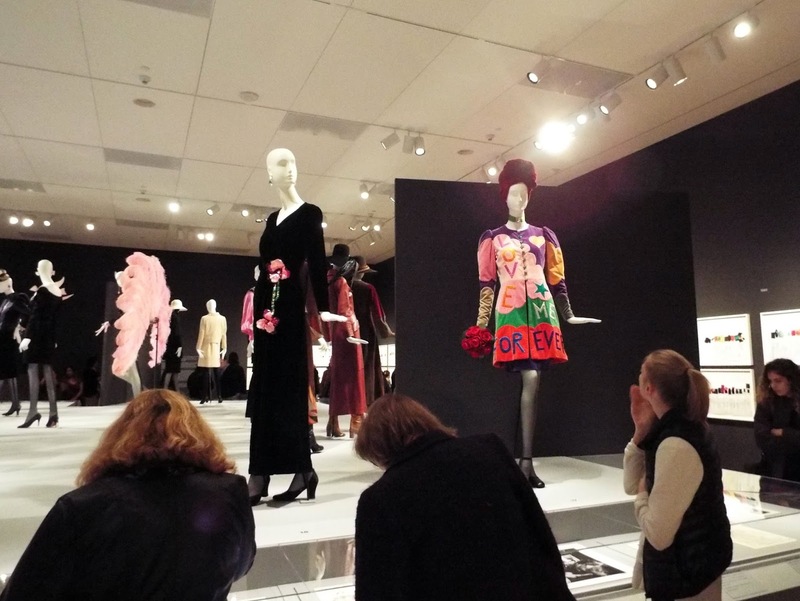 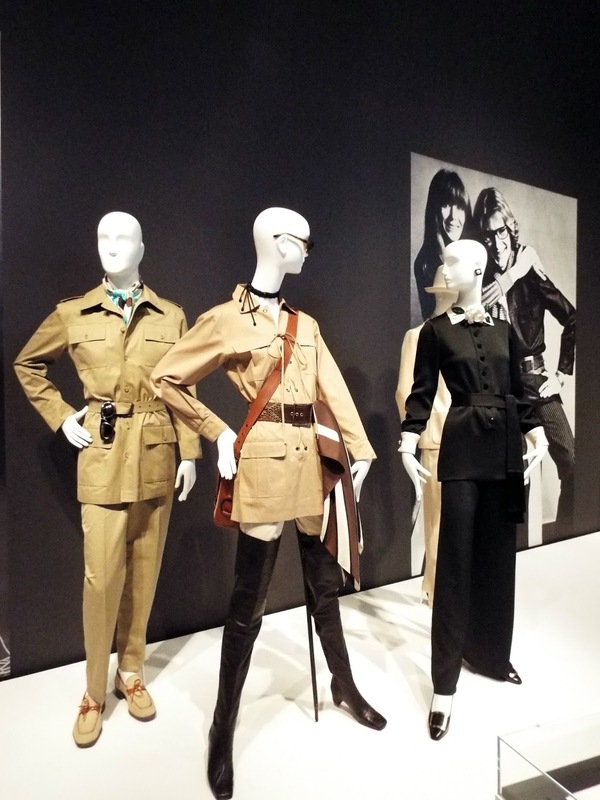 The current special exhibit at the Seattle Art Museum features the work of Yves Saint Laurent, an acclaimed haute couture designer. 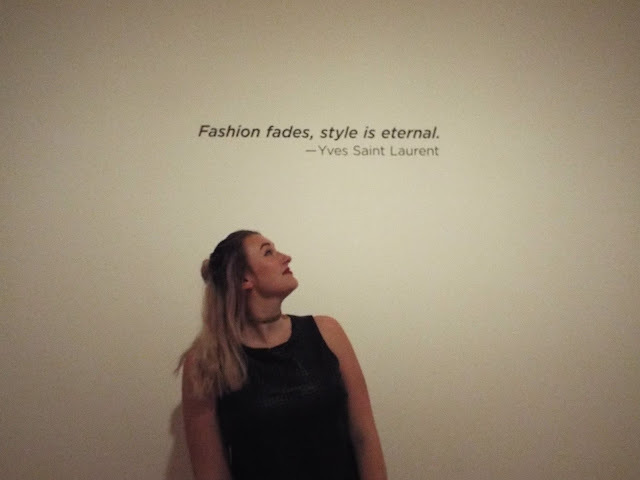 While I try to go to as many SAM exhibits as possible, I made a point of going to this one. 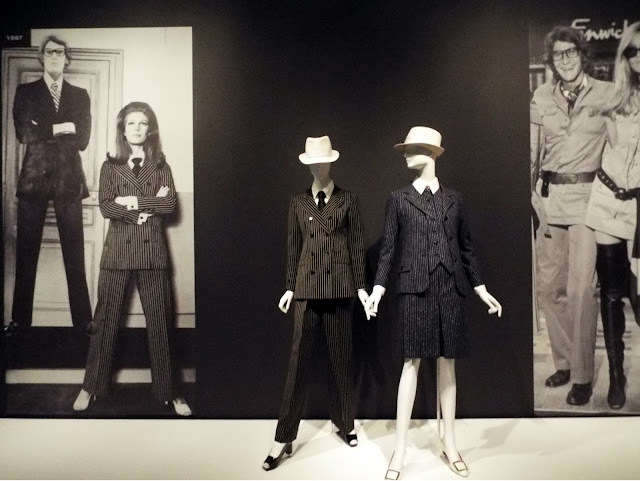 Some quick background on Yves Saint Laurent: he started his career at Dior, where he quickly became the head designer for the fashion house upon Christian Dior's sudden death in 1957. 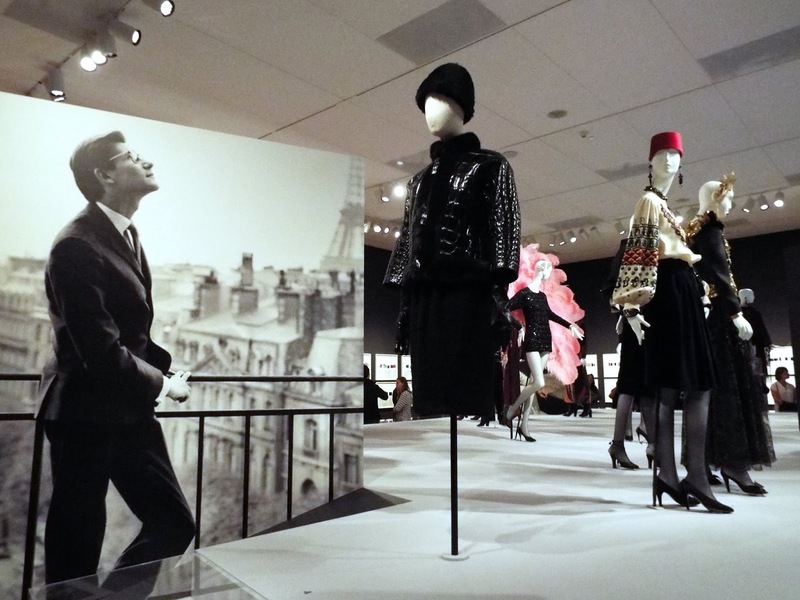 After being fired from Dior, he started his own line with the idea that "fashion is for everyone" in mind. 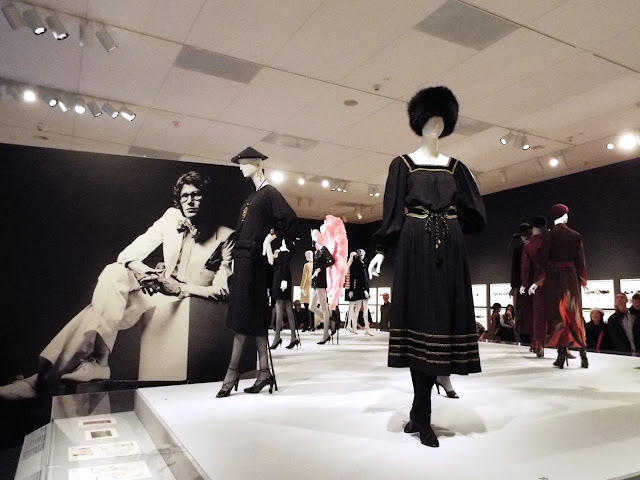 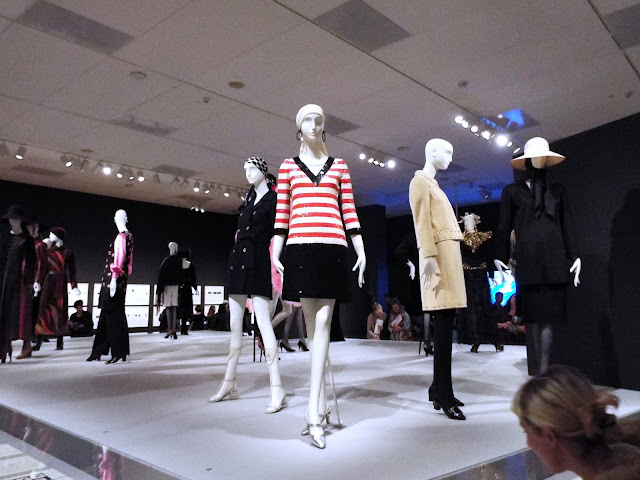 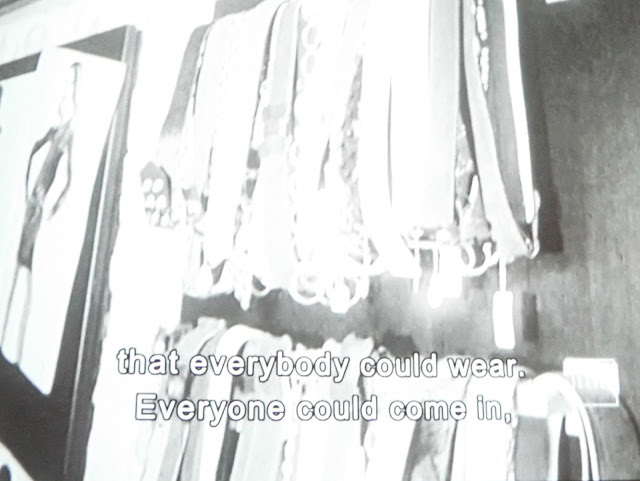 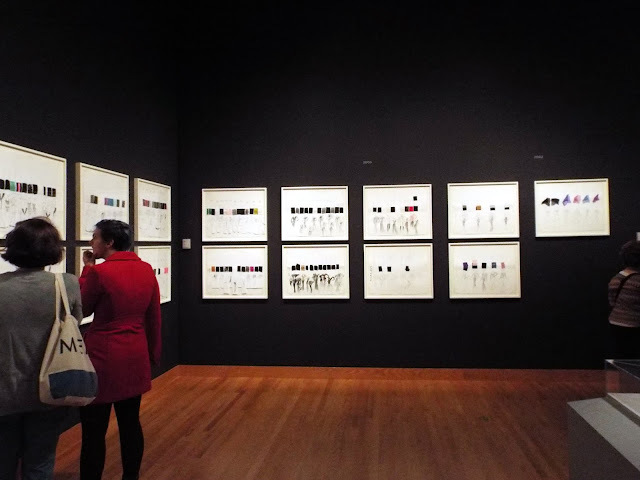 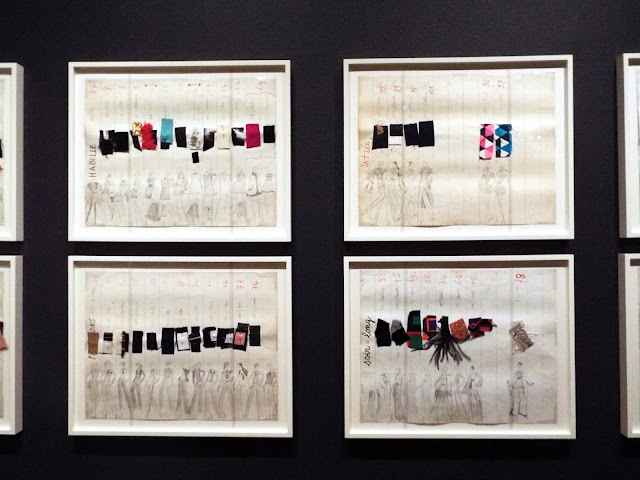 The exhibit featured sketches, concepts, fabric samples, and the clothing themselves from the start of YSL in 1960 to 2000. My new first-date dress, which reads, "love me forever." 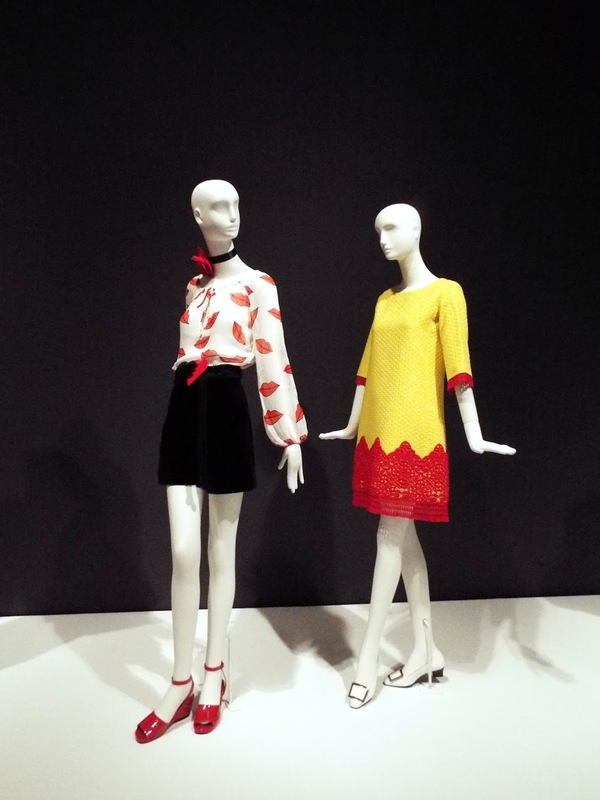 Me (left) and Maddie (right) out on the town. 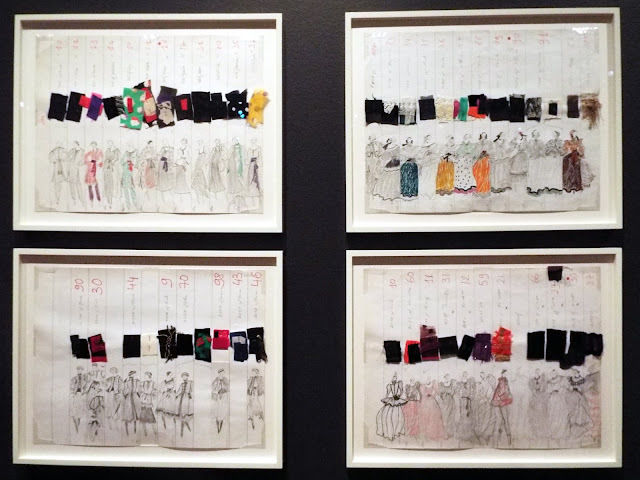 Before constructing the clothing, a sample is made from inexpensive fabric, a number of which are displayed here.